Sweeney said that the store will “have a quality standard that doesn’t accept crappy games.” Presumably by that, he means randomly cobbled-together projects, although people have already used the quote to poke fun at the trio of David Cage games heading to the store later this year. 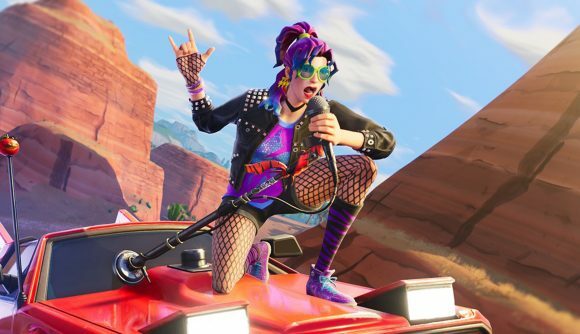 It’s no great surprise that on a storefront that’s bolstered in no insignificant way by Fortnite, Epic won’t be distributing adult content. Whatever else you might like to say about the company’s battle royale, a significant portion of its player base is made up of children, and providing that audience an easy avenue to horny visual novels feels like a great way for Epic to shoot itself in the foot. Yesterday was a big day for the company, as its keynote address at GDC came with a suite of major announcements. From its $100 million MegaGrants fund, to timed exclusivity periods for games including The Outer Worlds, Control, and Afterparty, Epic’s showed that it’s willing to splash some serious cash.